This time of year is usually special simply because of the holiday season, but now thanks to The Force Awakens we have an incredible Star Wars Christmas to look forward to! Of course, in between viewings of the new film you're going to have to take care of shopping for your loved ones, and if any of them are Star Wars fans we have just the perfect gift for them. 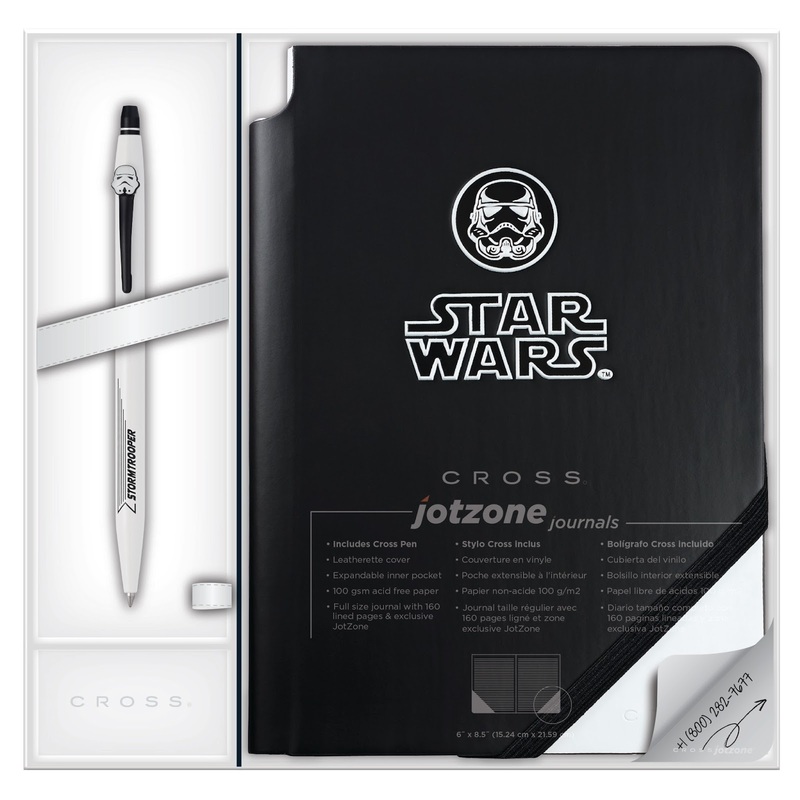 Cross Pens, who have been hard at work crafting top of the line writing instruments since 1846, recently introduced several stunning new lines of Star Wars themed pens that are sure to be a useful keepsake for any fan. The first collection consists of three limited edition pens from their Townsend line. These unique pens are styled to represent Darth Vader, C-3PO and Imperial Stormtroopers and also include the option of fountain or rollerball. The Threepio pen is is covered in 23kt gold plating giving it a a truly authentic feel. It also should be noted that only 1,977 of each character are being produced, and each pen is numbered accordingly. Be sure to grab them while you can! Next up is cross' Click Collection, which features the same three characters in the form of a sleek and versatile pen. 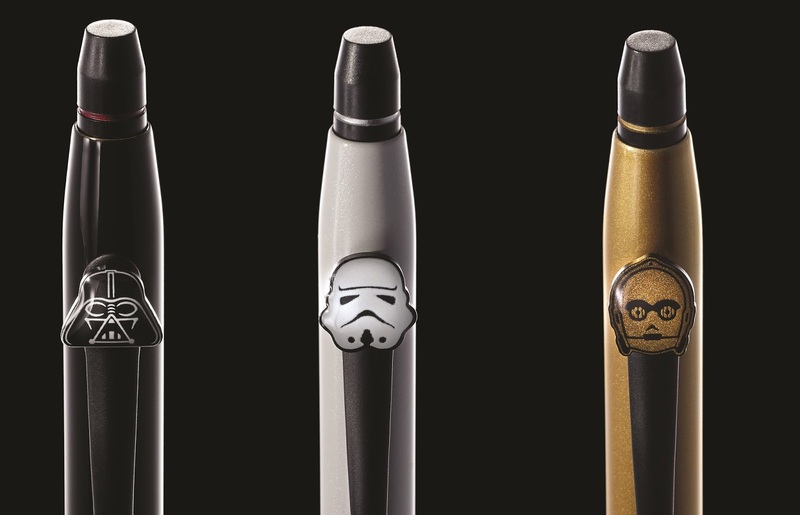 The C-3PO, Darth Vader and Stormtrooper designs include the click propel and repel mechanism and come encased in matching character themed gift boxes. 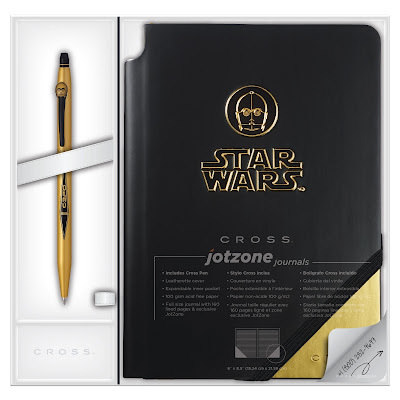 And finally, a perfect companion to the pens is their Jotzone journals. These books are also themed for C-3PO, Darth Vader and Stormtroopers. Each cover features an embossed character emblem and a pen holder in the spine of the journal. Gift sets pairing each click pen with it's corresponding journal are also available. These will definitely will make excellent gifts for the Star Wars fans in your life this holiday season, or maybe just treat yourself! 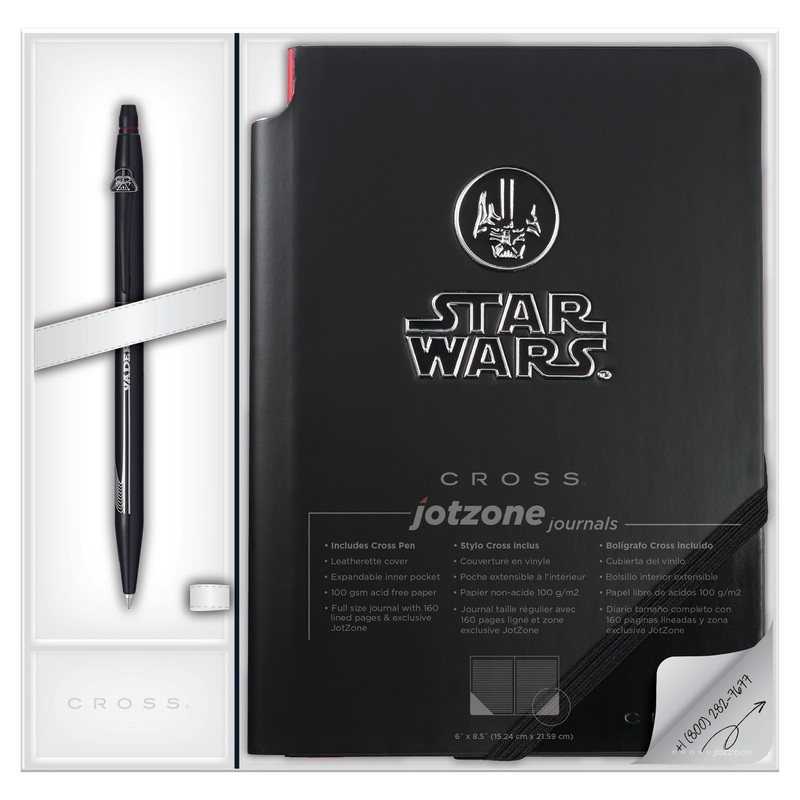 Either way, you won't regret buying one of Cross' awesome Star Wars products!